Chris and Toni, An email alone can’t come close to thank you for what you pulled off last night. I know you have done hundreds if not thousands of videos over the years. I am in the business to provide bucket list events to others, it’s what I have a passion for. What I experienced last night will never leave me. I will remember it for the rest of my life! When someone creates that for you an email alone just doesn’t seem enough. I hope on this rainy Sunday you are both together and appreciate your gift of making memories for others!! Thank you again!! This video is a treasured keepsake to watch over and over again. There is NO company that provides the quality of service as Heart Stone Films. 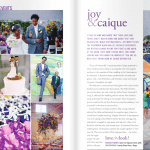 As we celebrate our first year of marriage, we have spent a lot of time reflecting on the joy of our wedding weekend. While we absolutely loved watching our wedding film when we received it a couple months after the wedding, we feel like it is even more of a gift now! Re-watching the video pulls you right back into those moments in a way that photographs simply cannot. While planning a wedding there are so many details to focus on; however, after your wedding day you walk away with only your memories, photographs, videos and of course a spouse! If you are like us, you may be on the fence about investing in a videographer for your wedding… for us it was worth every penny (plus some) and an investment that we will continue to enjoy for years to come. Unlike photography, the videos are able to capture the voices and personalities of your family and friends on your special day. Sadly, we realized how valuable this truly was as an individual integral to our wedding day passed unexpectedly just a few weeks later. We are so thankful for the work that Heart Stone produced and the moments they captured that will last a lifetime. Their team truly produces works of art, not just videos. 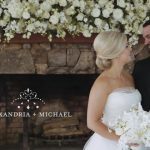 We were amazed with the quality of their videos and the way they were able to accurately capture the joy, love, energy and excitement we felt on our wedding day. The wonderful thing about their videos is that you also get to experience all the moments you may not have been present for during your wedding. Their team was great to work with and there are many instants they captured that I did not even realize they were in the room. We highly recommend them to all friends and family and hope their videos will be as much a gift/blessing to you as they are to us! Thank you Heart Stone team! Heart Stone Films is a company that provides a service that is rare and one of a kind. I was referred to them by a friend that was a grateful customer of theirs, and I was not disappointed. From the very beginning, Heart Stone set their services apart from others by providing high quality work, excellent customer service, and thorough communication. I feel that Heart Stone Films is a company that one would find in some metropolitan city due their talent, and so I believe that we are very blessed to have them in North Carolina! Heart Stone Films captured the essence of my wedding day which was very important to me/us, and for that I am forever thankful. I HIGHLY recommend their services for ANY special occasion for you will not be disappointed. Their work will far exceed your expectations! If you are debating whether or not to hire a videographer, take one look at any of Heart Stone's films and your decision will be made. We knew immediately that we had to have them be a part of our big day and we are so grateful that they were. They captured the priceless moments from our wedding day perfectly and we are so thankful that we will be able to look back at our video for many years to come. Having their team filming was more like just having a friend there sharing our wedding with us. Thank you a million times Heart Stone Films! You capture love in ways one could not imagine and your work is beyond beautiful. I can't thank Chris, Toni and the whole Heart Stone team enough. They captured priceless memories of our wedding day in a way that felt like I was re-living the day by watching the film. At first, I didn't think I had the budget for their services, and I'm sure a lot of brides out there worry about the same thing. Here's my advice: SPLURGE!!! Make it happen. You will not regret it. They were professional, punctual and even got our video done WAY early. Seriously guys, you're the best of the best! There is not a better team than Heart Stone Films from both a personality and talent standpoint. They get to know you as a couple and create a story through film that makes you feel they have known you for years. They are storytellers, artists, and creators - not videographers - this is what sets them apart from others who just edit film. I give Heart Stone my highest reco - I could not love a team more than I loved them. You will be lucky if you can get them!! As I watched my daughter’s wedding film it was an almost surreal experience. The first time I watched it, I was so immersed in the footage that I didn’t even hear the music playing. As I watched the clip of me helping my daughter put her shoe on, I wasn’t just watching me put that shoe on, but every shoe that I helped her put on from when she was a little girl until now. As I watched the shot of me zipping my daughter into her wedding dress, I saw every dress that I helped Megan into until this point; dance recitals, proms, graduations, etc. Seeing my husband walk our daughter down the aisle, I remembered my daughter’s first steps and all the times that we held her hand and walked with her through the years. The wedding film wasn’t so much about the documentation of that day, but being able to watch and relive all the little moments throughout my daughter’s life that were represented in the film, and the new life and journey that she is about to embark on with her husband. Chris and Toni of Heart Stone Films are incredible wedding vendors. 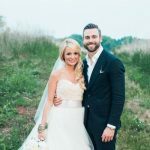 They possess such an amazing talent for filming and editing your big day, and their videos are epic works of art. Besides being so talented as videographers, they are both truly awesome, caring people. My husband and I quickly connected with them when we first met, and enjoyed getting to know them in the time leading up to our wedding. It really felt like they were lifelong friends, and we were their only clients. 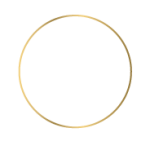 I knew their work was great from watching a wedding video they did for our friends, but was pleasantly surprised to find them to be so relatable, friendly, thorough and professional. Choosing Heart Stone Films was easily one of the best decisions in our wedding planning process, and they were worth every single penny. I can't imagine any bride and groom not using them to capture their big day! Chris and Toni are absolutely fabulous to work with and their videos are amazing! I first heard about Heart Stone Films a few years ago when one of my friends used them as their videographer. Their video was amazing and I cried every time I watched it. So when we got engaged, they were one of my first phone calls to make sure they could be at our wedding. They are wonderful to work with and take the time to learn about you so your video captures everything you want. And our video did not disappoint! I absolutely love it! I watch it all the time, and we keep hearing how wonderful it is from friends and our families who have been able to see it as well. 🙂 Our wedding was such a blur that it's wonderful to be able to go back and relive the best day of our lives. Chris and Toni captured our day in such a perfect way, and it is wonderful to go back and watch all the special moments. The biggest compliment I can give Heart Stone Films, other than an amazing final product, is that I honestly forgot they were at the wedding. They did an amazing job of fading into the background while still wonderfully capturing every important moment (plus a ton of other random, fabulous moments)! I've been to and in a number of weddings with videographers who are out in the dance floor, shoving a camera into guests faces as they are trying to dance. Definitely not what you get with Heart Stone. They are professional, attentive and creative! 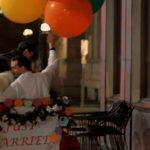 I followed Heart Stone Films for over a year after seeing a highlight film from a friend's wedding. 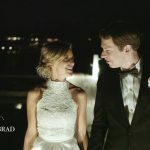 Being a very particular bride, I reviewed other videographer's films and could not find anyone who even comes close to matching Chris and Toni's work. I had to have them for my own wedding! They were amazingly easy to work with and very accommodating. My friends and family could not believe the quality of the video, and it brought many of them to tears. Heart Stone Films provides such an amazing memory and in such a unique cinematic way. Watching a video of my wedding day brings back such great emotions and memories from the day, far more than any of the still images. 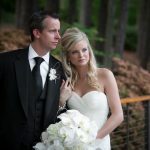 I would highly recommend Chris, Toni, and their affiliates to any bride wanting to truly capture their wedding day.